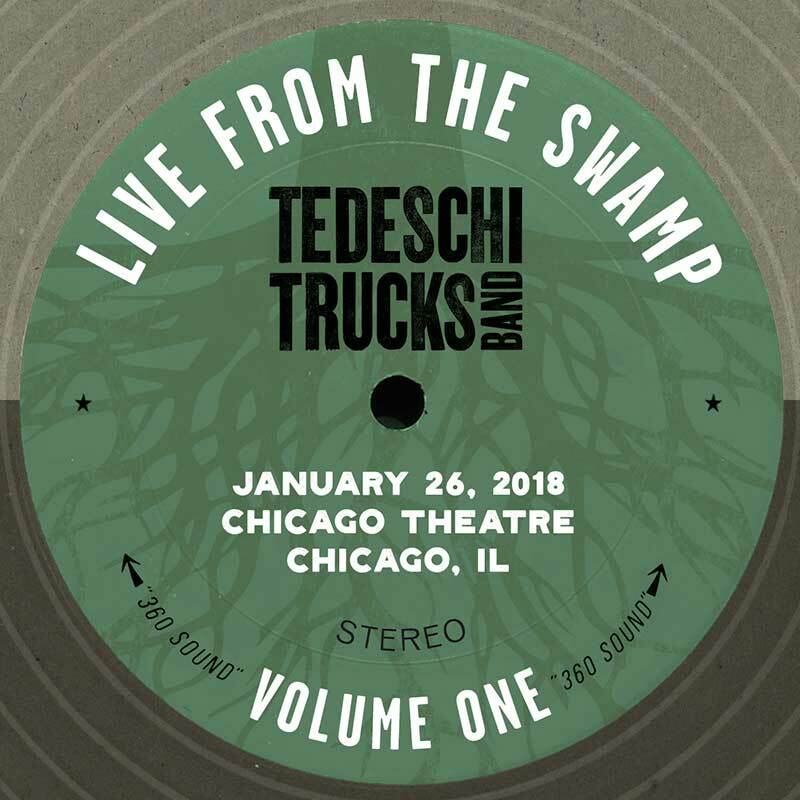 Recorded at the Chicago Theatre on January 26, 2018, this show is chosen as the first release for TTB’s Live From The Swamp concert download series not on the basis of any thrilling guest appearances or rare song selections, but because it is simply one of the finest performances of the band’s career from start to finish. The first set is an unusual stanza of all original tunes highlighted by a thrilling 17-minute “Idle Wind” odyssey. The masterfully constructed second set builds to a boil before arriving at an emotional catharsis with the couplet of “Shame” and “I Wish I Knew (How It Would Feel To Be Free),” while an singalong encore nod to the recently departed Tom Petty sends guests out into the Chicago winter’s night with the knowledge that they had just witnessed something very special. Live From The Swamp, Vol. 1 was selected for release by a listening committee after feedback from band members and crew. The download was produced from the original 64-track soundboard recording by Bobby Tis and Brian Speiser, and mixed and mastered for release by Jesse Lauter.